Thank you for your training on Public Reiki Events…Our Reiki event was a huge success, and it would not have happened without that information. Do you want to increase the public’s awareness of Reiki practice? Do you want your community to see Reiki as a credible resource to strengthen their health and happiness — and you as a reliable, trustworthy Reiki professional? Nothing brings Reiki practice to the people as effectively as a public event, especially an event positioned so that people literally trip over it in their daily lives. The key is PREPARATION. But how can you prepare for something as unpredictable as a public event, especially if you’re just starting out as a Reiki professional? 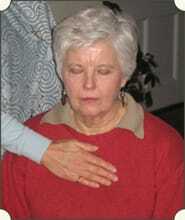 I’ve been holding public Reiki events in a wide range of settings and sizes for 25 years. I’ve organized every detail of every aspect of event coordination, and in this webinar, I share it all with you. Now you can benefit from my experience so you can create events with confidence, and without reinventing the wheel. 7 STEPS to SUCCESSFUL PUBLIC REIKI EVENTS is part of my Reiki Professional Academy, online trainings so you can leverage my three decades of experience to develop faster as a credible Reiki professional. Only credible Reiki professionals — ones who can bridge gaps in the public’s understanding and expectations — will raise mainstream awareness of Reiki practice. 7 STEPS to SUCCESSFUL PUBLIC REIKI EVENTS includes 2.5 hours of training organized into 5 videos to make it easy to digest and revisit content as you like. The Reiki Room is always the hands-down favorite for the 120 women at our Spa Day for women with cancer…The person responsible for creating this magic is Pamela Miles. I will walk you through all the details of preparation so even when the inevitable last-minute whatevers occur, you’ll be poised, welcoming, and effective. what you need from your host partners. I’ve compiled the myriad details of Reiki event organization into 7 key elements. Most of those elements involve many steps, some of which have substeps. Yes, event organization makes juggling while multi-tasking seem straightforward. There are so many details to organize and supervise; you must be on top of all of them. And now you can be! Starting today, you can dare to create an event with no need to worry, because the training gives you everything you need except the people — and it tells you how to bring them in. This training is appropriate for practitioners planning their first public event and those who already have some experience. It’s time to be a leader and step out in your community. Make it easy for people to have their first taste of Reiki. Put a Reiki experience right in the middle of their day-to-day lives. Make it a convenient, comfortable, supported experience, and tell them how they can follow-up if they want more. I highly recommend this training. I took it last winter and it was invaluable. My first event, at a hospice where I volunteer, went very well because of it. She covers many details. You will not be disappointed! Giving public Reiki events introduces you to more potential clients, students, and referral sources so you can grow your business, and bring Reiki practice to even more people. It will take successful, high integrity Reiki practitioners to bring the practice mainstream. Are you prepared to be one of them? With all this support available to you, why wouldn’t you step out and bring a Reiki experience to your community? It’s time for you to start hosting Reiki events — and I mean YOU! Once you purchase your access to the training video, you can access it online as often as you like, whenever it suits your schedule. You can absorb it at your pace, taking breaks and reviewing any section of it. After you complete your payment, you will be emailed membership instructions. As a site member, you will be able to access the video any time you want. If you don’t receive an email within a few minutes, check your spam folder, and email me.